Join Barry Big Love in his funky 70's inspired bingo, where you'll enjoy bingo, cash back, welcome bonuses and lots more. 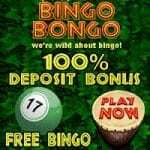 Bingo Bingo brings out your gaming wild side, with a 100% 1st deposit bonus and re-deposit bonuses. Beatle Bingo combines top welcome and regular bonuses, with an extensive range of bingo, slots and progressive jackpots. Bingo Extra may be retro in theme, but they offer the top games around and an impressive welcome bonus. 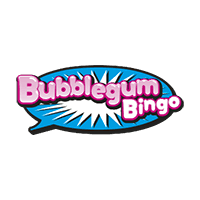 Bubblegum Bingo offers a huge 350% cash match bonus on your 1st deposit and interesting chat games for its roomies. Bingo Bar has a reputation of quality gaming and amazing promotions, including £10 bonus when you register. Bingo Loft welcome new players with a 200% cash match bonus on your 1st deposit and a redeposit bonus. Bingo7 is gaming heaven with their massive range of bingo, progressive jackpots, tourneys and slots. Bingo Fabulous will hopefully make your working week a little easier, with fun and great gaming. Bingo Night In is for those of you who love snuggling on the couch and playing the best bingo and slot games. Bingo Cove brings the sunshine to your mobile, aswell as impressive bonuses and high quality games. Bingo Boat is the place to sail away from your stresses and enjoy £10 bonus credit to play lots of bingo and casino. 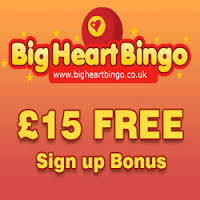 Bingo Date is a Cozy Games site so you know to expect bonuses and plenty of games, lets begin with £15 bonus credit. BOGOF Bingo start their bonuses with a 300% cash match on your 1st deposit, so you can try their many games. Bingocams claim they offer ‘Live bingo at its best’, so grab that £5 bonus credit and see if they are right! Bingo Scotland is a bonny wee gaming site where national pride runs deep and the bonuses even deeper. Bingo Hearts uses the incredible Dragonfish Software and offers a number of games including progressive jackpots. Bingo Hollywood will roll out the red carpet and welcome you with exciting bonuses and games. Bingo Funland is a world of fantasy and fun, with a 200% cash match bonus on your 1st deposit. 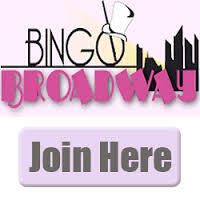 Bingo Broadway adds the glitz and glamour of the theatre to your online bingo and slots gaming. Bingo Ballroom will have you rumbaing to the bingo games, with 100% bonus on your 1st deposit. Bingo in the Sun combines two of the things we love, alongside great welcome and regular promotions. Biscuit Bingo is the perfect combination of bingo and your favourite treat, so relax and check out the bonuses. The heat is on with BBQ Bingo, because you can enjoy scorching welcome and regular bonuses on your mobile. Bingo Flame heats up your online gaming with a generous £10 no deposit bonus, simply for registering. Dance your way over to Bingo Boogie and enjoy the 900% cash match bonus on your first 3 deposits! 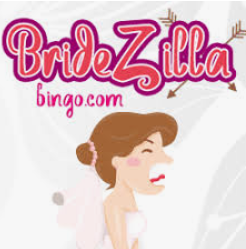 Bridezilla Bingo combines top bingo and slots, with impressive bonuses. What more could a stressed out bride want? 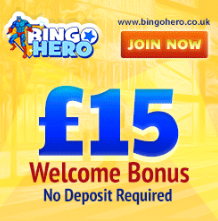 Bingo Chimp begins with a £15 bonus when you register and then cash match bonuses on 3 deposits. Butlers Bingo serves their players with a combination of top gaming and bonuses, to create a masterpiece site. Bingo Magix is perfect for the mobile gamers out there, with £15 bonus credit when you register. Big Heart Bingo believe charity is as important as entertainment, as such give some of the money raised to charity. Booty Bingo has plenty of treasure for you land lubbers out there, including £15 bonus credit when you register. 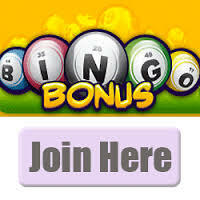 BingoStreet is the ideal place if you're looking for cheap bingo games and enticing welcome bonuses. Buttercup Bingo is a cute and fun gaming site offering lots of bingo and slots, plus a £15 no deposit bonus. Bobs Bingo tells us 'nobody does bingo like Bob' and we can confirm that! 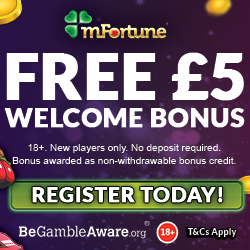 So head over for the £15 in bonus credit. Bucky Bingo is an exciting place to play bingo and slots, because they offer so much more than welcome bonuses. Bingo Godz brings you mega bonuses and great gaming including bingo, casino, instant wins and featured slots. 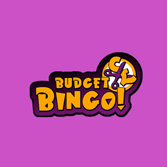 Budget Bingo offers new players £20 bonus credit when they register, which is the ideal way to try out their games. 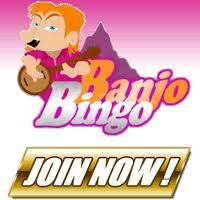 Banjo Bingo has amazing weekly promotions and offers regular players a 10% redeposit bonus. Brand New Bingo is an attractive site for the modern bingo fan, offering both impressive bonuses and quality gaming. Bingo Gringo is a striking game which offers great bonuses and a raft of slots, instant jackpots and bingo. Bingo Waves is a friendly bingo site, with a 200% cash match bonus on your 1st deposit. Bingo Dome offers a 100% cash match bonus when you register and regular promotions. 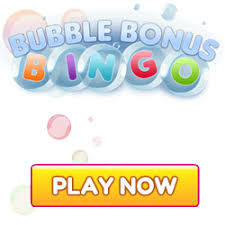 Bingo Bonus offers a great range of bingo and slots, plus theres 100% cash match on your 1st deposit. 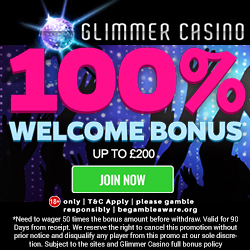 Bingo Anywhere are generous with the welcome bonuses, including £10 credit when you register. 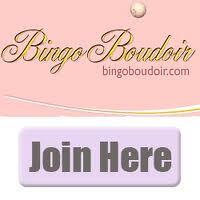 Bingo Boudoir is a site full of vivid colour, luxury and glamour, so check out their 100% cash match bonus. Fly away to Bingo Jetset and enjoy your favourite bingo games, plus a 100% cash match on your 1st deposit. Biggest Bingo is available on mobile and desktop, and provides an array of high quality bingo and slot games. 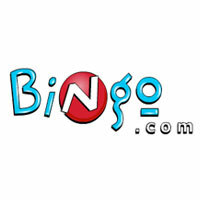 Bingo.com offer more than 660 games and a choice of two welcome bonuses, depending on your deposit amount. 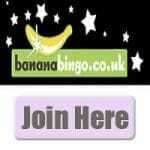 Banana Gold Bingo is a sleek site offering both impressive bonuses and a rich choice of gaming. Bingorella is a site designed to make mobile gaming easy and they give new players £5 bonus credit. Bingo Hero is a fun and colourful bingo site which claims to ‘provide players with the ultimate online bingo experience'. Big Bucks Bingo is a rootin tootin western style site, with a huge variety of high quality games and amazing bonuses. Bingo VIP Club is where top promotions and a huge choice of games is standard, there's even £15 credit when you register. Bingo G from Cozy Games offer the incredible bonuses we've come to expect from Cozy and a number of top slots. Brits Bingo is the place to play, chat and have fun, it says so on their site. Plus there's complimentary bingo to enjoy. Bingo Calling will help you through the week with lots of bingo and slots, and 150% bonus on your 1st deposit. Bingo 3x offers three times the fun, bonuses and games, with slots, progressive jackpots and of course bingo. Boyle Sports Bingo begin their bonuses with a 400% on your 1st deposit, which is perfect for their big range of games. 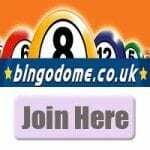 Bingo Blowout offers a thriving chat community, top quality games and £10 bonus credit when you register. Bingo Fling give you the chance to spin the wheel after your 1st deposit, where you can win up to 500 bonus spins. Bingo Crazy is the cure for an insane day, so head over and grab the £15 bonus credit upon registration. 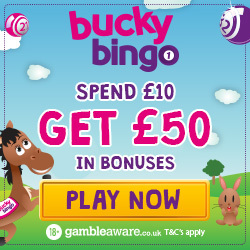 Bingo on the Box is online gaming with a TV twist, so enjoy 300% cash match on your 1st deposit. Bingo Hombre offers its players a great gaming experience with a Mexican atmosphere. 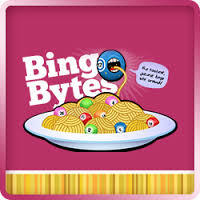 Bingo Bytes claim to be the tastiest and juiciest bingo site around, with £15 credit when you register. Bingo Legacy is a fully mobile compatible bingo site that’s allows you to play high quality games. 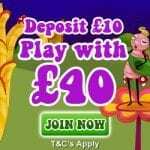 Bingo Mega offers high quality games 24/7 and when you register, £10 bonus credit to play with. Bingo Diamond has a mixture of high quality games and incredible promotions, such as £15 credit when you register.